So I know I've been away for a little while, but it's actually for a good reason… I've been hard at work expanding my tree! I decided to continue my research and work forwards as well as backwards. The intention being that this will hopefully assist living cousins and relatives that are creating their own family trees. (The accurate kind, you know, with a few sources thrown in for proof.) 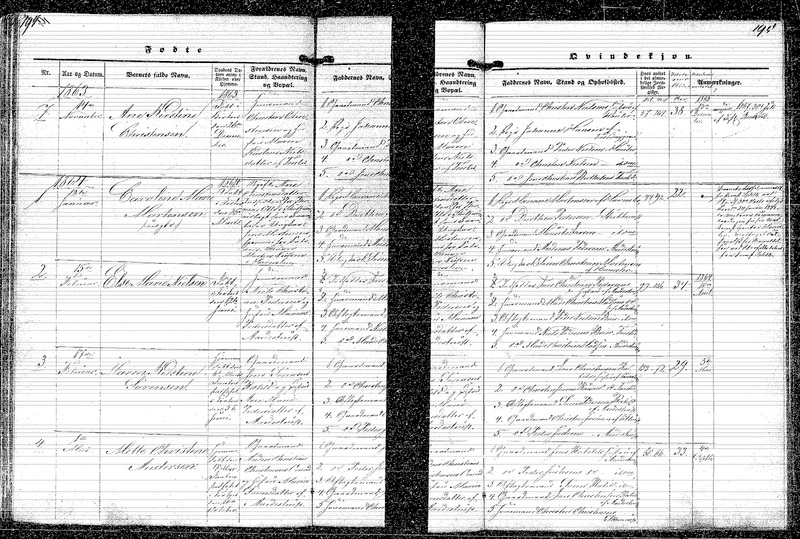 I figure some of this stuff would otherwise take someone new to genealogy months to uncover. This all started with the same box of photographs from my grandmother that got this blog moving to begin with. Discovering these photos lead me to search for the lost relatives contained in them. That then led me on a quest to try and track down descendants of those relatives; the kind who might appreciate the photos. The project had been such a success that it got me thinking… maybe I should step back a generation or two and search for other cousins as well! Caroline Marie Mortensen (known as Marie) was born 12 Jan 1864 to unwed parents Jens Mortensen and Ane Christensdatter in Ersted, Aarestrup, Denmark (Hornum District of Aalborg). On 25 Mar 1864, Marie was baptized in Aarestrup Church. According to her baptism record, Jens father was bricklayer Morten Nielsen and Ane was living as a lodger with a man named Thomas Otte of Stubberup. Marie was raised in Ersted, a small village about 2 km northeast of Aarestrup in what is now the region of Nordjylland. While Marie was born to a single mother, by the time Marie turned 7 in 1871, her mother Ane met and married Peder Nielsen Munkholm, also of Aarestrup. Over the next five years together the family would welcome Marie’s 3 step-siblings: sister, Ane Kathrine, brother, Niels Christian, and sister, Maren. By the time the 1880 census rolls around Marie is 16 years old. 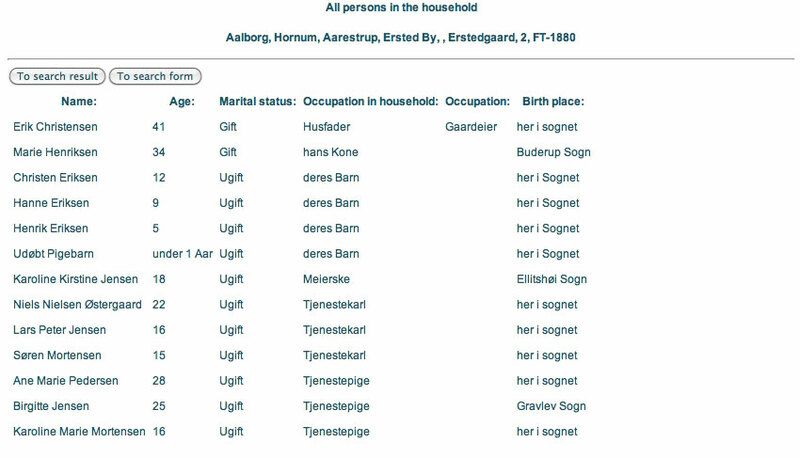 She is living at what is documented as Ersted Farm #2, unmarried and working as a maid for the Erik Christensen family. The family employed 2 other maids and 3 men as laborers. Marie is listed under the name "Karoline Marie Mortensen". On the 27 Feb 1883, at the age of 19, Marie gives birth to her first child, Ane Petrea Mortensen, in Ersted. Petra, as she would be known, was baptized 22 Apr 1883 in Aarestrup Church. The baptism records the father as Martinius Christensen from Lindenborg and notes that couple was not married. Within the next 5 years Marie would move to the city of Aalborg, about 33km north of Aarestrup. It’s here on 27 Feb 1888, at the age of 24, that Marie would welcome son Villiam John Mortensen into the world. Marie was living in Budolfi Parish (Fleskum District) at the time. Villiam was baptized on 2 Apr 1888 in Budolfi Church. Marie is noted to be unmarried and this time the father is listed as Arendt Klensmann of Damhaven.